One of the leaders of the Islamic Movement of Nigeria, Abdulmumi Giwa, has denied allegations of human rights abuse levelled against their members by residents of Zaria. Speaking in an interview on Tuesday, Mr Giwa described the allegation by the Gyullesu elders as a propaganda sponsored by government. He said the government was using the claims to justify the killings of innocent members of the movement, popularly known as Shiite, and to distract the attention of the public over the recent incident. The Shiite frontrunner also said the claims were mere lie. The leader of the group, Sheikh Ibrahim Zakzaky, had lived with Gyallesu residents happily, despite attempts by security operatives to cause disharmony at various times. Residents of Gyellesu Community in Zaria, Kaduna State in northwest Nigeria, had called on the Federal Government to ban the group, alleging that its members harass and intimidate innocent people in the area. 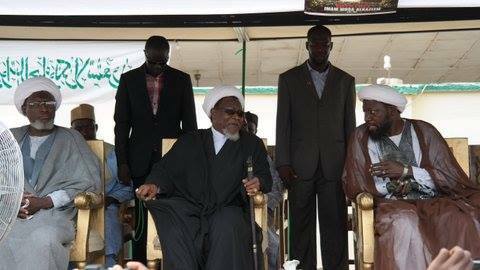 Citing alleged hardship caused by the sect in the last 20 years, the Zaria residents warned that the Shiite group, if allowed to continue to exist, could pose a security threat to the state and ultimately the nation.